Gov. Peter Shumlin, who has long argued Vermont has no need to change its gun laws, signed new gun restrictions into law Friday. 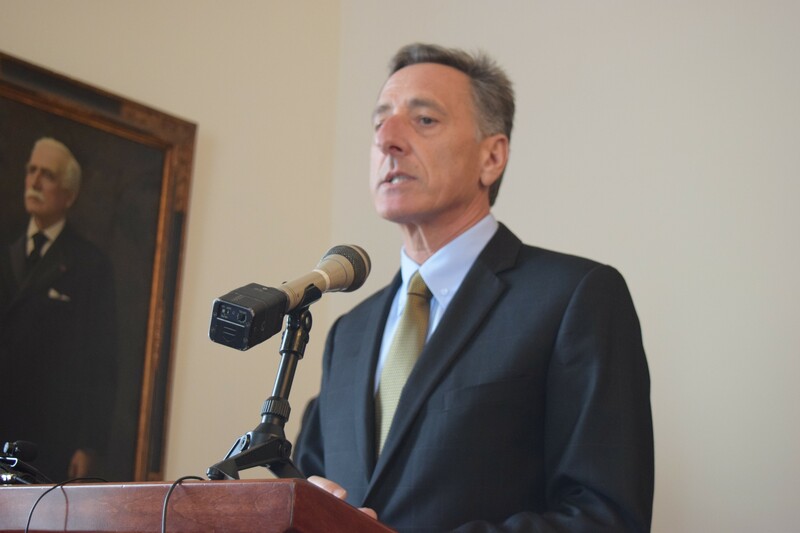 Shumlin said the bill, S.141, was “a shadow of the legislation that I objected to at the beginning of the legislative session.” He chose to sign the bill in private, rather than at a public ceremony that accompanies many bill signings. While some gun owners dropped their opposition to the bill because of compromises, others remained strongly opposed and urged Shumlin to veto it. Shumlin said previously that no changes were needed to gun laws in Vermont, which are among the least restrictive in the country. After the December 2012 shootings in Newtown, Conn., Shumlin said he believed any change should happen at the federal level. “Congress and the president should enter into a vigorous and thoughtful debate about how we can prevent tragedies like this in the future,” he said at the time. In January, Shumlin continued to argue against changes in state gun laws, saying current laws "have served us well." The law he signed makes it a crime for felons to possess firearms under state law, just as it is under federal law. It also requires courts to report the names of those with dangerous mental illness to a federal database that gun dealers check before selling guns. Gun-safety advocates had hoped to expand background checks to include gun sales conducted online and at gun shows. Legislators dropped that from the bill in the face of strong opposition from gun-rights activists. Friday, supporters of gun-safety measures said the new law will help keep guns out of the wrong hands. Gun Sense Vermont issued a written statement: "This proves that respect for the Second Amendment can go hand-in-hand with gun violence prevention, and that lawmakers don't have to choose one over the other," it said. "For years, guns have been the third rail of Vermont politics, but that is no longer the case."